NE employees received several honors and awards for their contributions to scientific research. Below is a list of awards from 1980 until today. The list is also available in PDF format. 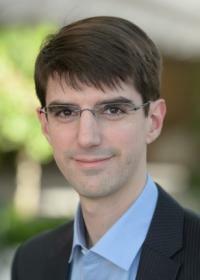 (*) = Superior Graphite Co.
Argonne nuclear engineer Florent Heidet was selected by the American Nuclear Society's (ANS) Reactor Physics Division (RPD) to receive the 2017 Early Career Reactor Physicist Award for his significant contributions to research in the field of fast reactor physics, in particular with respect to the long-life breed-and-burn fast reactor concept.